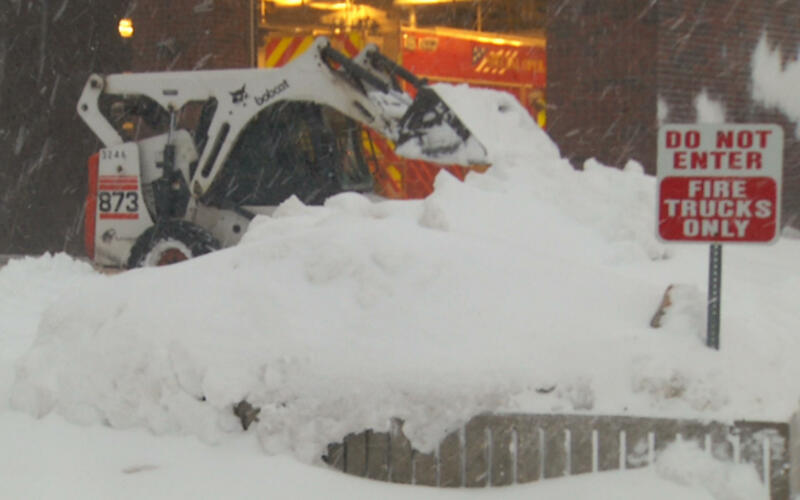 BISMARCK, N.D. -- Bismarck is on track to beat a snowfall record. As of Tuesday, the city had seen 43.5 inches of snow and trailed its year-to-date record by only 2.3 inches, The Bismarck Tribune reported. The record was set in 2008, with 45.8 inches of snow falling between July and December, according to National Weather Service data. The average seasonal total is 51.2 inches of snow, Krolak said. North Dakota has had some unusual systems this season called “Colorado lows,” which usually dump a lot of snow in fall or spring, Krolak said. The latest winter storm also brought “thundersnow” to North Dakota, a reference to snowstorms accompanied by thunder, along with thunderstorms to the south and a lot of rain in Minnesota. “That’s a lot of moisture being pulled up and causing all that. Usually, something like that is more in line with the fall or the spring,” he said. He said temperatures are also expected to drop. He expects temperatures to be lower next week, possibly subzero temperatures from arctic air - along with more snow. For now, forecasters don’t expect more than a few inches of snow from upcoming storms.